This period of history belonged to the Plantagenets. They got their name from Geoffrey of Anjou. 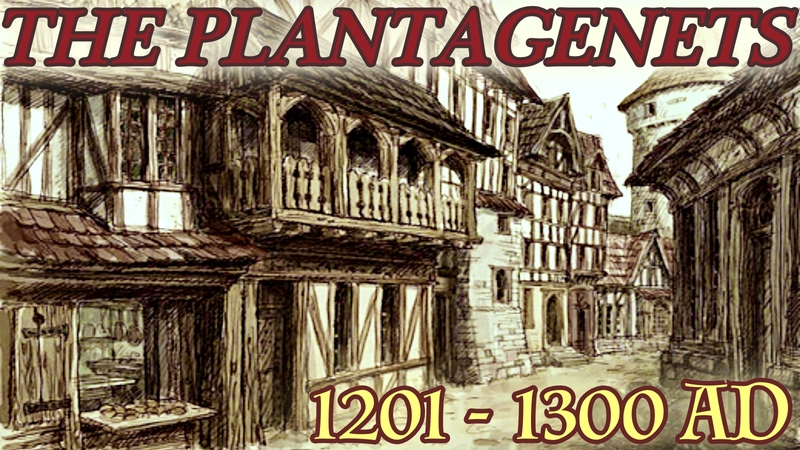 His emblem was the broom flower known in Latin as planta genista, hence Plantagenets. The Kings spent most of their reigns fighting each other, fighting the wealthy barons in England, the people in Scotland or fighting the Kings of France. Some of them actually ruled over half of France for a while. During their reigns we saw the introduction of the very first parliament. At the start of this period of history, the estimated population of England (to the nearest ½ million) was 3½ million or 875,000 houses on our strange method, explained in the Mesolithic Age introduction.